MVP 2015: The romance continues! 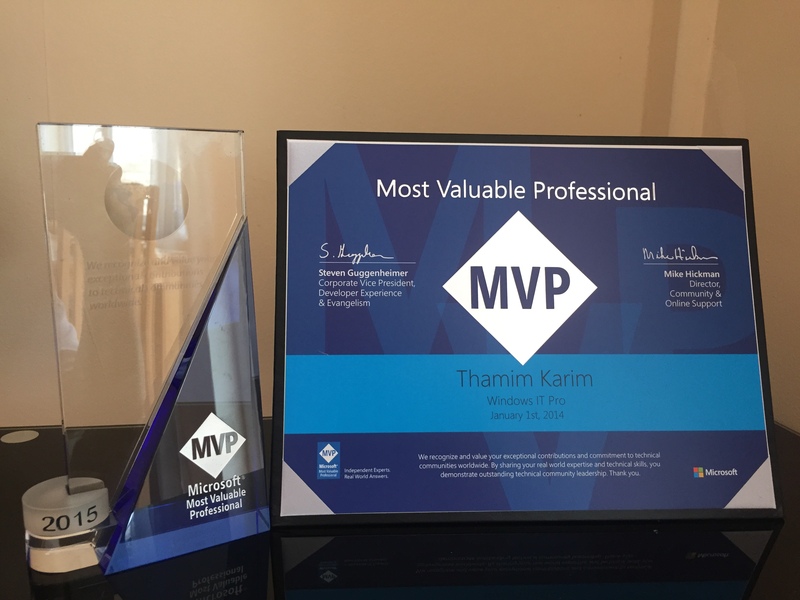 A few weeks ago I was informed that I have been selected to join an exclusive group of Microsoft community leaders and industry experts known as Microsoft Most Valuable Professionals (MVPs). The programme looks to highlight and recognise people outside of Microsoft who have made significant contributions to their software and the communities built around it. I have to say it is a massive honour to be in the company of these great people and I just hope I continue to do my bit for App-V. I also want to say a massive thanks to everyone who has supported me on my journey so far, that includes everyone that reads this blog! Well I’ve always had a soft spot for Microsoft ever since I installed Windows 95 (Yes that was my first OS, shout out to the GUI generation!) and I have been courting the company ever since I graduated back in 2008. I remember failing to make it onto their graduate programme and feeling pretty disappointed, so I dusted myself off and spent some good years as a system admin, grabbed myself some MCPs and MCITPs and worked my way up through three different organisations learning like never before. I quickly got labelled as the “Microsoft guy” and revelled in the title. Things were going cool until the IT Consultancy I was working for got acquired, my job as a sys admin looked increasingly redundant as I helped migrate all our systems into our acquirers infrastructure, all the time while being promised there would a be different role for me once the merge had completed. My immediate reaction to the acquisition was to update my CV and pick up the phone to recruiters so I had a plan B if this promise wasn’t kept or if the new role offered wasn’t right for me. My manager who was my strongest supporter at the time pulled me aside one afternoon and said “Tham, don’t do nothing hasty, I’m going to make sure you find your place in this new world we find ourselves in, I’ve got your back”. My manager went off work for a few weeks to have an operation to remove a lump that had formed on his cheek but before he left he said “Tham! Make sure you are still here when I get back!”, I reassured him I would be and not to worry. I cooled it off with the recruiters while my manager was away. Sadly, my manager never made it back to work, he passed away due to an infection picked up after the operation. A few days after the funeral while at work I spotted a visitor from Microsoft in one of the meeting rooms training our support team on performance analysis. As he was leaving, I took a long shot and approached him asking whether he knew if Microsoft were recruiting much in the area, he was surprisingly positive and gave me his details. Long story short it ended up with me sitting at Microsoft HQ interviewing over a whole day. I got the job! Literally a dream come true! I remember on my first day at Microsoft they said I’m going to specialise in App-V, I said “App what?! Never heard of it!”. I spent my first 6 months learning from two of the best people in country for App-V, its only somewhere like Microsoft where you can work with people who never hold back in sharing knowledge and open doors for you without a concern for themselves. I recall always regarding the MVPs of App-V like celebrities, the same for the products groups who were developing the product itself, they were these ultra smart people on top of their game. I travelled all across the world with my new App-V skills, carving out a space for myself and building a brand amongst my peers and customers alike. Microsoft was the first place I’ve worked where I felt I could bring my personality to work and didn’t have to hold back, I even found myself rapping on stage at corporate events! 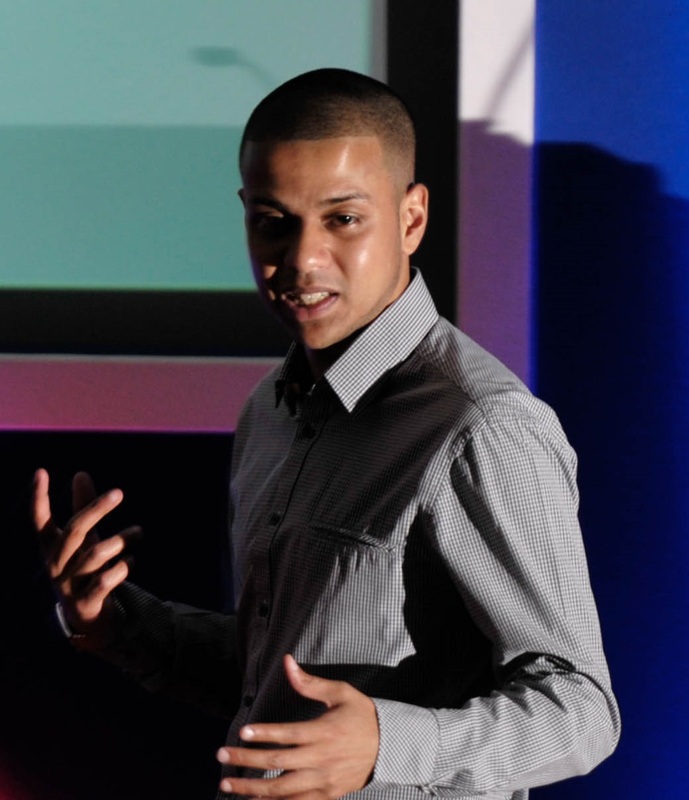 However rapping wasn’t the only stage time I got, as my confidence grew with App-V I found myself speaking at conferences and presentations all over the place, from internal events such as the MVP summit and TechReady through to public appearances at TechEd and App-V User Groups. At the same time my mentor had pushed me to follow in his footsteps and start my own blog – I named it Virtual Vibes. The blog grew in popularity over time to the point that customers knew bout my blog before I reached their site. Over time I slowly started to find my self engaging more and more with those product group members and MVPs that I never thought I would end up interacting with. Working at Microsoft was the highlight of my career to date and deciding to leave was such a hard thing to do. There’s no juicy gossip to share on incidents that incited my move only the desire to explore life outside of MS under my Virtual Vibes banner. Microsoft gave me just as much as I gave it, I just hope I done the name proud, I left only with positive memories. 8 Responses to MVP 2015: The romance continues! Delighted to have you as part of the MVP team. Well, Deserved! About time too, congrats. More power to ur elbow.